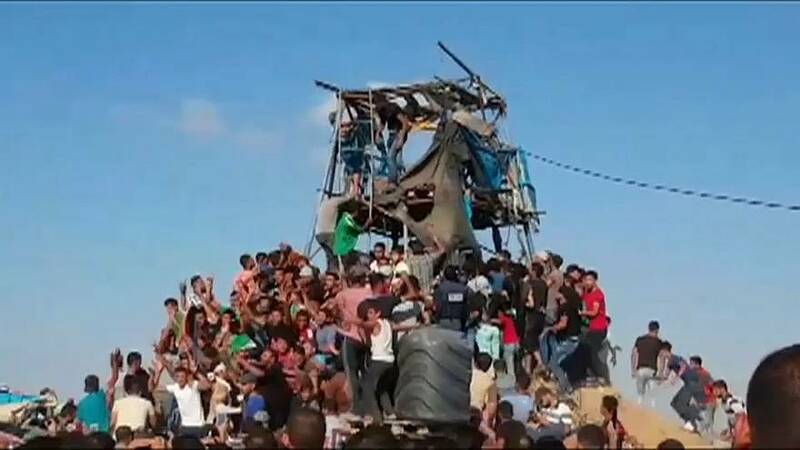 The military said aircraft and tanks hit eight Hamas positions in Gaza after its forces had been shot at and had explosive devices hurled at them along the border. 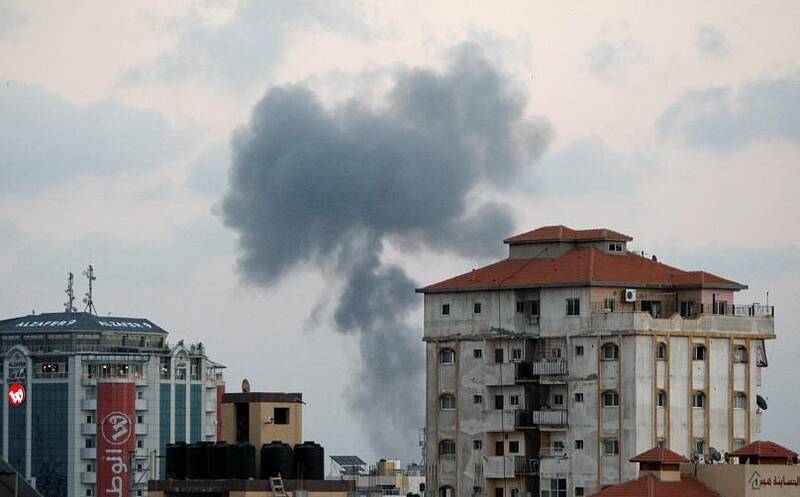 More air strikes pounded Gaza as darkness fell in what the military described as a “wide-scale attack against Hamas”. Hamas claimed three dead as members of the Islamist group. The fourth was a civilian, local residents and medics said. At least 120 Palestinians were wounded. Earlier, Hamas defied Israeli calls to stop launching incendiary balloons from the Gaza Strip, as Israel’s defence minister threatened to order a military offensive to prevent them. Fires caused by kites and helium-filled balloons have ravaged farmland in Israel in recent months. The tactic has become popular during the months-long Gaza border protests known as ‘The Great March of Return’, in which more than 140 Palestinians have been killed by Israeli security forces. Israel says Hamas has been orchestrating the demonstrations to provide cover for militants’ cross-border attacks. Hamas denies this. Khalil Al-Hayya, Hamas’s deputy chief in Gaza, said on Friday the kites would continue to fly. “In the face of Zionist threats, we say the resistance will continue, the marches will continue and its tools will continue to vary and take different forms, including the kites,” he said. “Your soldiers are still in our hands ... The occupation (Israel) will not see them until they pay the price, just like they did for Shalit,” Hayya said.